If you have enjoyed stopping by and reading NCFI Cares, then you are in for a pleasant surprise–a compilation is in the works entitled CARES: Reflections for Nurses! I began sending out the bi-monthly NCFI Cares devotions for Nurses Christian Fellowship International (NCFI) in January, 2013. I am amazed it has been 3 years! In 2014, NCFI leadership asked me about providing a printed compilation. I was excited for the opportunity and set out on a new writing journey with a few goals in mind. 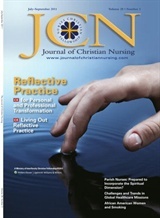 First, I wanted the compilation to be a combination of old and new content.Thus, out of the 52 reflections contained in CARES, 26 will be brand new, Christian nursing topics. Second, I wanted something more than just devotions and not as comprehensive as a Bible study, so I penned reflections. 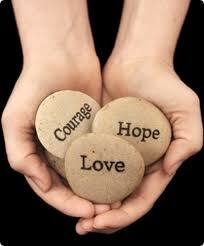 Each reflective topic contains a devotion, selected reading(s), poignant question(s), and a prayer. Turning a simple, daily exercise into a meaningful process for faith and professional development. Finally, I wanted each devotion to be translated into Spanish. Since the beginning of NCFI Cares, my sister in Christ and nursing, Martha from Argentina, has translated each devotion prior to sending it to Latin America nurses! Thus, CARES is bilingual. I am excited to bring CARES: Reflections for Nurses! Check back, as I continue to share updates!